There is a mysterious element of the unknown when shoving off the dock for a day of saltwater fishing in Tofino, British Columbia. 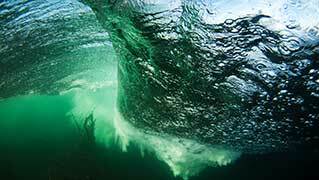 Few activities can parallel a salt water fishing expedition and one of those activities is marrying up your ocean fishing adventure with a visit to the world famous Hot Springs Cove. 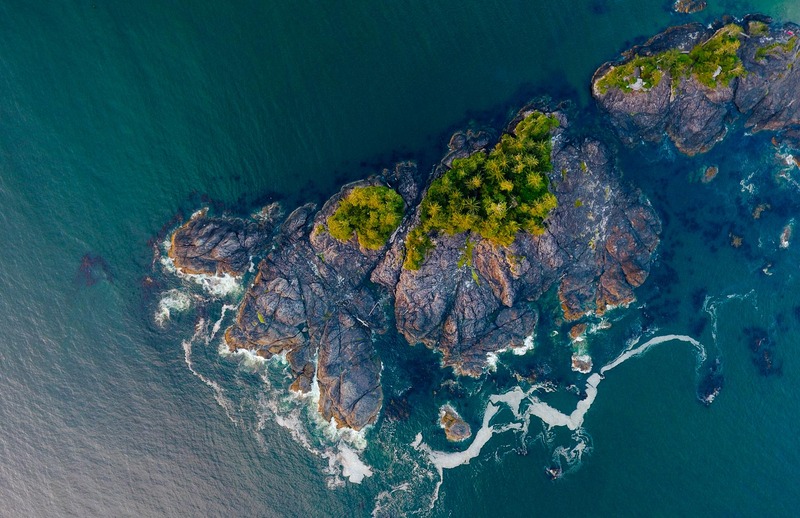 Clayoquot Sound is a treasure chest of environmental jewels: from the glittering diamonds of sunlight dancing across the wavetops to the emerald velvet of old-growth rainforest carpeting the mountaintops. The rainforests of Clayoquot Sound are part of a larger 74,000 km-stretch of Pacific temperate rainforest along coastal BC. 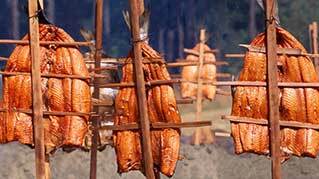 Clayoquot Sound has been the home and traditional fishing grounds of Nuu-chah-nulth people for tens of thousands of years: Tla-o-qui-at, Hesquiaht and Ahousaht First Nations, which includes the Kelsemaht people. An archaeological dig in the 1960s in Hesquiaht, near Hot Springs Cove, showed evidence of occupation onsite for at least 6,500 years. 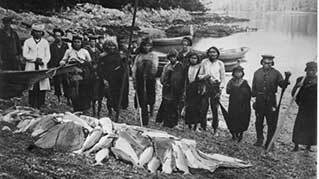 Nuu-chah-nulth people have lived in Clayoquot Sound and in balance with the land and ocean for tens of thousands of years. Trade brought explorers into the region in the 18th Century. First contact was in August 1774, near Hesquiat, when Juan Pérez sailed Spanish frigate Santiago into the Sound searching for gold, silver and more. The West Coast and Vancouver Island have always been well known for fresh and saltwater angling opportunities. An outstanding array of fish is available, ranging from pacific salmon (spring/Chinook/kings, sockeye, coho/silver, chum, pink) halibut, cod (lingcod, snapper, rockfish) dungeness and rock crab, spotted prawns, scallops, urchin, octopus, albacore tuna and so much more. 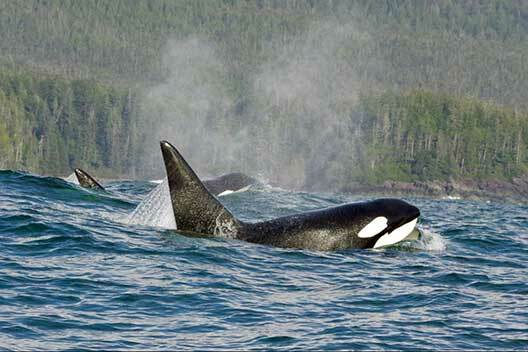 The fishing opportunities coupled with the coasts vast collection of wildlife (bears, cougars, birds, wolves and more) along with marine life (porpoises, humpback and grey whales, orcas, otters, seals, sea lions) make the Clayoquot and Kyuquot Sound regions a prime destinations for outdoors-people and nature lovers. Receiving industry recognition and accolades is an overall testament to our guest’s satisfaction with the services being offered at Coastal Charters. Our crew takes on the responsibility of holding a high standard and level of care for you during your tours and these efforts are being mirrored in the responses and feedback we receive on a daily basis. Thanks to all of our guest, past, present and future! When it comes to equipment and rigging we have expectations just like you do. Our trips are structured to be seamless for our guest and as such we have invested much in the way of sponsorships and the brands we use. Rest assured we spare no expense to insure your maximum enjoyment and reward. We use only the best in the business such as Grady White boats, Yamaha outboard engines, Islander and Okuma reels, Scotty Plastics downriggers, Shimano and GL Loomis fishing rods. Whatever it takes to keep you going! "What a day out on the water with Captain Brin! Being a returning client I knew my friend and I would have a fantastic day and Coastal Charters made it happen... again!!!. The day started with Brin picking us up with his usual contagious smile. Once aboard the Estella, a real beauty of a boat, we set up to go fishing. As always we are provided with top of the line fishing and safety equipment." "What a great experience we had, our captain of the boat was so helpful and told us great stories about the island and Tofino. Both my son's 8 & 9 years old had the time of there lives we caught fish we ate fish. I caught the biggest fish I have ever seen in real life what a epic fun time. Definitely be back to do this again thank you so much!." "A group of four of us went out for the day with Brin. What an amazing guide and just an awesome guy. Highly recommend booking Brin for a day of fishing!"